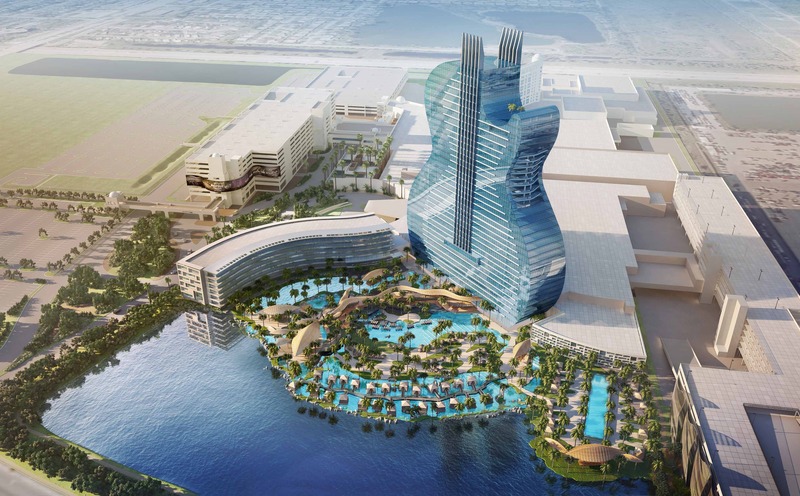 The world’s first guitar-shaped hotel will officially move forward at the Hard Rock Hotel & Casino | Hollywood, Florida. DeSimone Consulting Engineers provided structural design services for the project joining architects Klai Juba Wald. The $1 billion expansion will include a 36-story guitar-shaped hotel tower, a new convention and performance venue, and nearly double existing casino areas. The expansion also includes several new dining and retail areas, a nightclub, pools, and other state-of-the-art amenities. Miami Herald was on hand at the “guitar-smashing” announcement ceremony that included live music and pyrotechnics in true Hard Rock Style.